Leaving a position is like a break up and sometimes it is your idea sometimes it comes out of the blue, but the point is it is happening whether you like it or not. Who made the call is irrelevant, the main focus is how you leave. It can be a very emotional time yet this is the time that you need to let your brain shut your heart up. 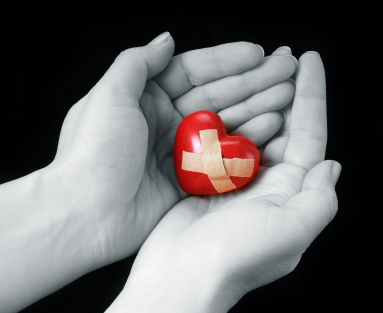 Leaving with your heart can lead you to all sorts of problems. No matter how hurt or upset you are you need to leave with grace. Remember one thing, no matter what you do – it is over. You are not going to change that. Another important point to remember – this is business. Sure there may have been personal issues involved in your departure but at the end of the day it is still business. This was a place you were paid to perform a service. Keep it business. Let me be blunt (I know, what a surprise) they do not care about your hurt feelings. Making a grand-stand public announcement of how they did you wrong or performing any sorts of revenge acts will only hurt you in the long run. Co-workers or other management may not know the specific details of why the break up happened but after some stupid stunt it won’t matter. All they will remember is you were a whack-job in the end. Who is to say that those people will always be at that company? Maybe they will go to another, better company and that could be a possible connection for you to get into that great company, too. Unless you make a fool of yourself and then you can pretty much kiss that opportunity goodbye. Breaking up with someone (i.e. firing) is not easy for them either. Once they finally say the words they then go to a very uncomfortable place. They do not know how you are going to react, what you may do and quite frankly it is awkward. They can’t ask you if you are okay or if you need a hug – they are the middleman for the company. The company broke up with you and the company is still paying their salary so of course they are going to remain on the side of the company. Leaving with grace is the best way to salvage your self-respect. The world will not end when you walk out the door so do not be overdramatic about it – even if it was your idea. Maybe the company treated you like crap and maybe you really want to tell that SOB boss exactly where to go – but really, what good will that do you? Sure, it might make you feel better for a minute; but let’s think about it. You tell them off, maybe even get a silent round of applause from your co-workers but then what? You are unemployed and that SOB boss still has their job. Outbursts do not change that. If that SOB really was an SOB well than that is their burden to carry and karma will come back one day – it is not your job to help it along. Later when you look back at the situation you will derive much greater satisfaction knowing you did not let them get the best of you by being a fool. Leaving with grace will be much harder on them than the satisfaction of goading you into an outburst. My son is 20 and has a very short fuse and quick responses. Yesterday he was having a really, really bad day and he called me. He was ready to go off in a big way for the littlest things. Ah, the joy of testosterone. This is a trait that I know well and have always worked on with him, and he with me. Yesterday on the phone I told him that it is good that he recognizes his mood and that is the most important thing. Knowing how he feels he can then avoid any situation that will spark a response. If he did find himself in a situation in which he could not avoid he has the knowledge that he was not in the best frame of mind so he also has the power to walk away knowing that his best option is to keep his mouth shut and walk away. He knew this, it wasn’t new; it wasn’t like I just imparted great pearls of wisdom that made him think, gee, I never thought of that, now everything is sunshine and roses. He just needed validation for his feelings. He needed me to recognize that he was in a crap mood and not judge or try to talk him out of it. Talking him out of it would only fuel it; but validating and allowing him the self-control to handle it in the way he knows best allowed him to relax a little. If you are breaking up or getting broken up with call your person in private. Vent a little and get your validation but then walk out with your head held high so that way you can see the windows that are opening from the door that was just shut.